Rapidly changing investment environment and sophisticated investment vehicles are making portfolio management increasingly difficult. Having experienced the recent financial turmoil, investors now demand investment advisors to possess a much higher level of professionalism and integrity and to manage their investment portfolios more effectively. Our Asset Management Service is the perfect solution for clients looking for a professional and effective investment service. Channel 8 offers fee-based asset management services for both discretionary and advisory accounts. The amount of management/advisory fee we entitle depends on the market value of the investment accounts. Therefore, we care about investment returns as much as our clients. In order to offer a professional and effective investment service, our Investment Committee meets regularly to share their views about the latest market trends and design model portfolios for different risk levels. The committee is made up of experienced investment advisors/portfolio managers, and a Chartered Financial Analyst (CFA). Managing accounts on a discretionary basis allows us to make prompt investment decisions in response to market changes. Since timeliness is so important in today’s fast-changing market, the clients will have to delegate to us authorities to switch funds or trade stocks on their behalf. 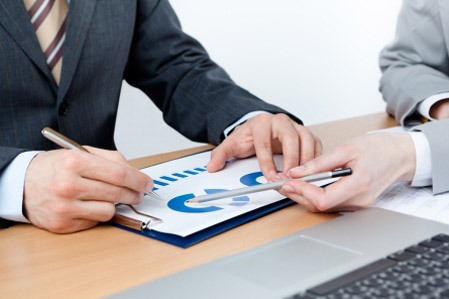 Before service is rendered, our investment advisors will conduct a detailed fact-find with each client to understand thoroughly a client’s financial position, investment objectives, risk preferences and any other specific requirements. We will then establish an investment mandate tailored to each individual client’s circumstances. In order to achieve expected returns, we will manage clients’ portfolios in accordance with their own investment mandates. Based upon the views of our Investment Committee, clients who subscribe to our fee-based advisory service will receive regular investment recommendations and market commentaries from their consultants. After considering our recommendations, clients will have the discretion to restructure their investment portfolio in accordance with their own investment philosophy.